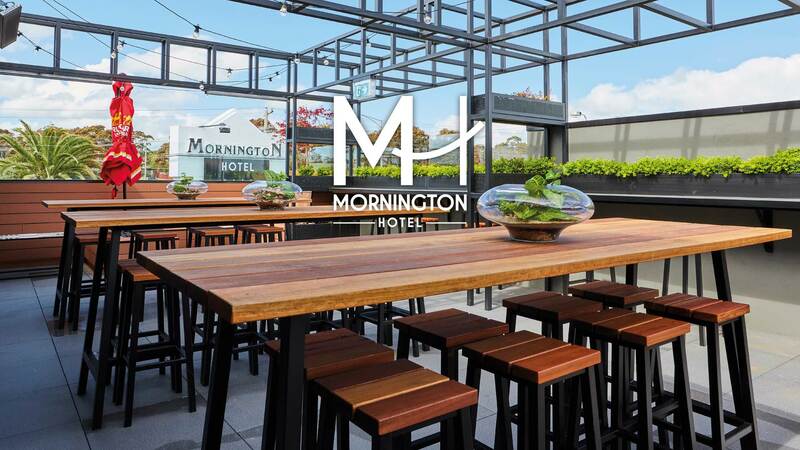 The Mornington Hotel, features a newly renovated impressive bistro. Try our new extensive summer menu, or visit us for dinner to take advantage of one of our special meal offers from Sunday to Friday. New Sports Bar and TAB now open! Visit our brand new spacious, modern bar with large plasma TVs, betting facilities and hearty bistro meals, plus daily meal specials. The Mornington Hotel, located on the Mornington Peninsula, offers guests the best 4 star Accommodation in the local area. We have 20 boutique rooms, with a range of suites and special Stay and Play Packages to choose from for your next stay. Room 10 is the newest function room and lounge bar on the Mornington Peninsula, with an outdoor terrace and separate large covered deck, it has to be seen to be appreciated. Perfect for all occasions we can cater for engagements, weddings, milestone birthdays, anniversaries, product launches, corporate meetings or in fact any event to be celebrated. Room 10 offers a sophisticated yet relaxed atmosphere with our friendly staff and delicious food, its ideal for your next gathering. FREE FUNCTION ROOM HIRE | AVAILABLE NOW!